We are approaching the world historical moment that gives us the end of capitalism. So it is not a surprise to see a resurgence in the ideas of Karl Marx. But to say there should also be a widespread interest in Vladimir Ilyich Ulyanov, or Lenin, usually conjures up notions associated with the slide of Marx’s ideas into violence and revolutions gone wrong. Still, this may seem to be a generous criticism. The names of Marx and Friedrich Engles may be synonymous for some to the ‘evil empire’ that was the USSR, and to utter those of Lenin and Leon Trotsky could be regarded by others as confusing failed romanticism with ruthlessness and nihilism. But given the resilience of the human spirit and the agility of the mind to re-evaluate things when provided the opportunity, more people seem to think that capitalism is an overarching reference to ‘evil empires,’ ruthlessness, nihilism and lucre soiled ideals, not to mention torture and immorality. Apart from war, capitalism is seen by an increasing number of people as humanity’s greatest self inflicted wound. However, we are only just walking into a potentially healing post-capitalist (postK) era. From this vantage point a reassessment of what Lenin is actually saying, and its urgency today is worth serious consideration. We will take a look at the key ideas of early Lenin as in his renowned but misunderstood 1902 work What is to be done (WITBD) and see how consistent some of his ideas are to those of his later and lesser known — but equally important – 1920 work, ‘Left wing’ communism: an infantile disorder (LWC). More importantly, we shall extrapolate Lenin’s thoughts particularly in these two works and see how they fit and, in fact, provide us with ideas of what we can do in a postK era. They will, however, be re-examined and re-imagined on a new paradigm as befits us today. This approach may upset Marxist/Leninist/communist puritans and enrage others of different persuasions, but that would at least be in keeping with Lenin’s spirit. A relook at What is to be done? We should thank Lars T. Lih for his important contribution to 20th century political thought with his book Lenin Rediscovered: What is to be done? in context (Haymarket Books 2008). Lih also provides an accurate and highly readable new translation of WITBD at the end of his book. Briefly, Lih shows convincingly that the version of Lenin handed down to most of us through many textbooks is a jaundiced one and largely due to the misrepresentation of what he was saying in WITBD. The Lenin that does come through from WITBD is not only an optimist and a bit of dreamer, but someone realistic enough to understand the need for dedication, discipline, secrecy where required, and who was working tirelessly to create an organization of revolutionaries based on the German social democratic model of the time. He was against terrorism and wanted a merger of a vanguard leadership of revolutionaries by trade with a guided mass movement of the people. The vanguard would be non-elitist and inclusive of intellectuals, advanced workers and anyone else who fit in. This revolutionary class would help merge with the workers or proletariats to create a focused revolutionary force that would lead to the overthrow of social-economic-political repression and instigate a socialist state which would eventually work its way to the ultimate goal of communism. Lenin recommended secrecy in launching a revolutionary movement because in Tsarist Russia there was a lack of civil liberties. Lenin would not be averse to using traditional democratic and parliamentary methods to establishing a socialist state but realized that it was a pipe dream trying to enact that in the open in Russia. In other words, he was all for political openness as the best way to bring his ideas across as it would allow for education of all classes of citizens on the value of the ultimate communist vision. If you think this is quite a revision of Lenin, try reading Lih’s recent book Lenin (Reaktion Books 2011) where he is equally convincing in presenting its protagonist as someone who envisioned a heroic scenario of revolutionaries and change embedded in some form of romanticism. But better than this, we should take the trouble to do a close reading of Lenin’s works for many of our preconceptions about him would be clarified. There is surprisingly, especially in the ideas of the later Lenin, even poignancy in what he was trying to do and what, in many instances, failed to do. We are influenced in our view of Lenin and Trotsky largely by the state violence and repression of the USSR, especially under Stalin. Yet, if Lenin (who in his later years saw through Stalin) and Trotsky were as ruthless and nihilistic as they have been often painted, they would have conveniently liquidated Stalin. This they did not do, and the rest is literally history. Instead, Lenin suffered a couple of assassination attempts and then the three strokes that left him painfully crippled in his final months, knowing full well that Stalin would not complete his and Marx’s historical mission but would pervert it. Trotsky for all his intelligence, internationalism and loyalty to Lenin ended up exiled and brutally murdered in Mexico through an ice pick. Lenin operated within certain parameters. His intellectual and revolutionary integrity, if anything, kept him within certain bounds. But his genuine internationalist approach and commitment to world revolution rather than a desire to be a mere overlord in his own state makes him a genuine visionary. Compare what he tried to do with what history gave him, to what has been voluntarily and gleefully done by cabals in North Korea and Myanmar; and the quasi successful attempts by the neoconservatives in America to turn the republic into a rogue state. What Lenin was urging the revolutionary class to do was to provide leadership and guidance to the masses/workers whose natural tendency was to push to satisfy grievances that were mainly economic in nature. Those who supported this approach Lenin termed ‘economists’ and this strategy of only seeking economic rather than political redress, ‘economism’. A disciplined social democratic approach would be to not just use propaganda and agitation but education and direction of what he termed the stikhiinyi element or force, which is the undirected energy of the masses. Due to Lenin’s play with words, his at times excessive polemical stance and his quite Russian humour, a hasty reading of him and WITBD (in particular) leads easily to a misreading of the intentions and nuances of his thought. Lenin was not against stikhiinyi/stikhiinost of people expressing their frustration over injustice. He was convinced that in order to launch a successful revolution, the energy of the masses had to be harnessed, given focus and direction via revolutionaries by trade. But as he kept reiterating, to have a successful revolution all classes of society needed to be involved. The broader the social support base, the better for social democracy. And unless there was a proper channeling and provision of purpose for stikhiinyi forces (or ground energy) of the masses by an inclusive vanguard, Lenin claims that the ground energy could be manipulated by opportunists and demagogues to turn “now towards ‘economism’ and now towards terrorism” (WITBD, Lih 721). The situation would be helter skelter and possibly exploited by nihilists of all shades. So a holistic approach is taken to explain to the masses that everyone is in the predicament of servitude in some form or the other within the capitalist framework and that all classes and people are connected. People may have different experiences of being held hostage to selling their labour to whoever chooses to buy it, but everyone is still in the same boat. For Lenin, sympathy and empathy across classes need to be understood as a political and social fact and not just an economic one in which disparate groups, for example a trade union, just makes demands for its self interest while letting everyone else fend for themselves. Lenin is arguing for a rise in mass awareness or consciousness to envelope all for we should all stand up for one another’s interests. He is urging unity of purpose and awareness/consciousness, not separation among those who in reality have a common cause. So what Lenin envisages is the bringing together of as many aspects of society across classes and industries, including part of the infrastructure of capitalism and the security forces defending it, into a united struggle against the system itself. This is part of the merger idea of society and the vanguard fired by social awareness amalgamated into a unified group consciousness working for the good of everyone. His motive was to win over and unite into a potent ground force as many people as possible. This is further exemplified by Lenin’s advocacy of a vanguard to guide the popular ground energy in a time of crisis as well as during a period of calm which he terms “political agitation that is unified” and “that illuminates all sides of life and that is directed at the broadest possible masses” (WITBD, Lih 834). So Lenin is aiming for a broad based popular force that is led by a revolutionary vanguard, which can be from all classes, to set in motion purposive social energy. This unified and directed energy could transform into a movement that could then take over the infrastructure of the capitalists and reins of government to start a genuine socialist state which may initiate the transition to communism. Three years into the Bolshevik revolution Lenin produced, in 1920, an important work but not as renowned as WITBD. It had a title that would have made Sigmund Freud proud: ‘Left wing’ communism: an infantile disorder or LWC (Bookmarks edition 1993). Here Lenin moves on from the theoretical aspect of things to the more practical matters of creating a revolution through socio-political groundwork to win hearts and minds. Lenin tells off the unrealistic ‘left wing’ ideologues and moves to the right of them to show that they are as ineffective and harmful as the people he excoriated for their ‘economism’ in WITBD. There is consistency in Lenin’s ideas from that earlier work to LWC in which he continues to promote the unity of purpose of revolutionary activists, irrespective of class background, with the masses. He urges those who want change to inculcate courage, integrity, persistence, perseverance and discipline. He emphasizes that it is inadvisable and impossible to try and skip the daily grind of demanding ground work in spreading the word and winning over people to the cause. It is not possible to launch a successful revolution if there is lack of preparation for the vanguard and the people in learning the ropes for all aspects of society. Lenin claims that this approach to practical steps and tasks that must be taken to instill revolutionary consciousness and use of effective methods to prepare people to take over their own society was enacted, via discipline and focus, in the early years of the Russian revolution. The ground work is essential and there will be many occasions that will arise to give an opportunity to practice revolutionary work and for revolutionaries to strengthen their links, broaden their contact base and garner experience. All this is preparation for the real thing and the takeover by the people. For instance, Lenin states that the year 1905 gave important experience to the revolutionary vanguard and assisted in the awakening of the people to what was going on around them. He says that “one month of this period was equivalent to a whole year of ‘peaceful’, ‘constitutional’ development”; and that without “the ‘dress rehearsal’ of 1905, the victory of the October Revolution of 1917 would have been impossible” (Lenin 25). In LWC we get the seasoned revolutionary practitioner Lenin, who has evolved from the polemical personality of WITBD, expatiating on the nuts and bolts of how to get a revolution underway. There is less romance, and more call for ground work. We see down-to-earth and realistic aspects of Lenin merged with his idealized vision of the modalities of a mass based revolution. 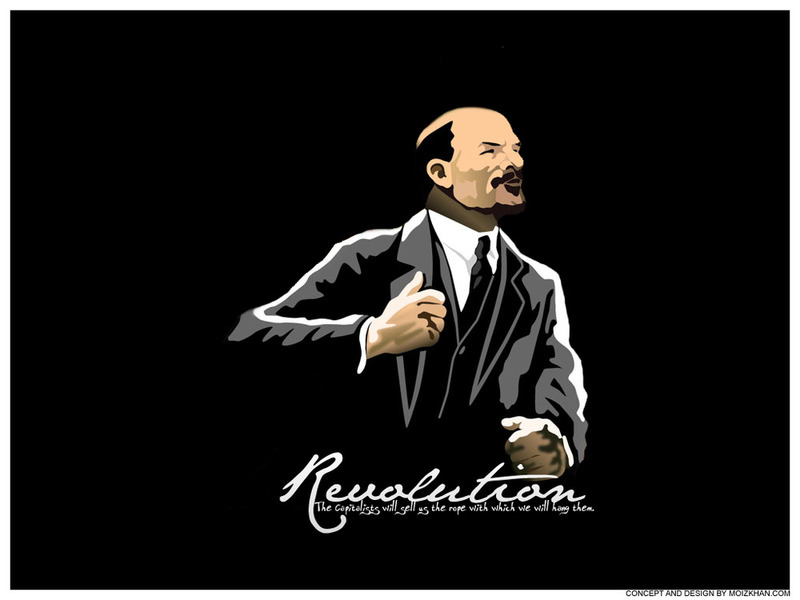 Lenin in his own words tends to subvert popular preconceptions about him. He calls for compromise as a tactical necessity for getting a foot into the doorway and opening up people to widespread social awareness. He accuses the ‘left wingers’ of intransigently clinging to their delusional ideological position of ‘purity’ of purpose and not wishing to soil their hands with having to grease the joints of a potential revolutionary apparatus. …to reject compromises ‘on principle’, to reject the admissibility of compromises in general, no matter of what kind, is childishness…to be useful to the revolutionary proletariat [one] must know how to single out concrete cases when such compromises are inadmissible, when they are an expression of opportunism and treachery, and direct all force of criticism…against those concrete compromises…(Lenin 39). In other words, there are compromises and compromises and doing something to gain time or tactical/strategic advantage in a situation to fight another day is quite different from merely pandering to self-interest (especially at the expense of everyone else). The need for compromise in general is a fact of life most of us are challenged with. Unsurprisingly, compromises are necessary when we are creating or facilitating revolutionary conditions which throw up ineluctable situations that call for flexibility, and myriad moments that have to be taken advantage of as required. Pure theorists and ideologues may shirk from hands on practicality in pushing the cause forward, but that for Lenin is infantilism. He insists that anyone who expects to have “ready-made solutions for all cases in life, or who promised that the policy of the revolutionary proletariat would never encounter difficult or intricate situations, would simply be a charlatan” (Lenin 39). Indeed. It is not an overstatement to say that what Marx envisioned Lenin tried to create in reality. Lenin understood clearly that socialism had to be built within the framework and upon the structures of capitalism, and from there move on to the as of yet inchoate but final goal of communism. He believed that it was necessary to have a capitalist infrastructure in place to launch effectively the social democratic ideals he championed but the irony of history offered him the comparatively backward state of affairs that was the crumbling Romanov empire. In his autobiography, Trotsky gives fascinating insights into Lenin’s life (My Life, Dover Books 2007). In it he says that Lenin’s wife wrote him a letter shortly after her husband’s death. 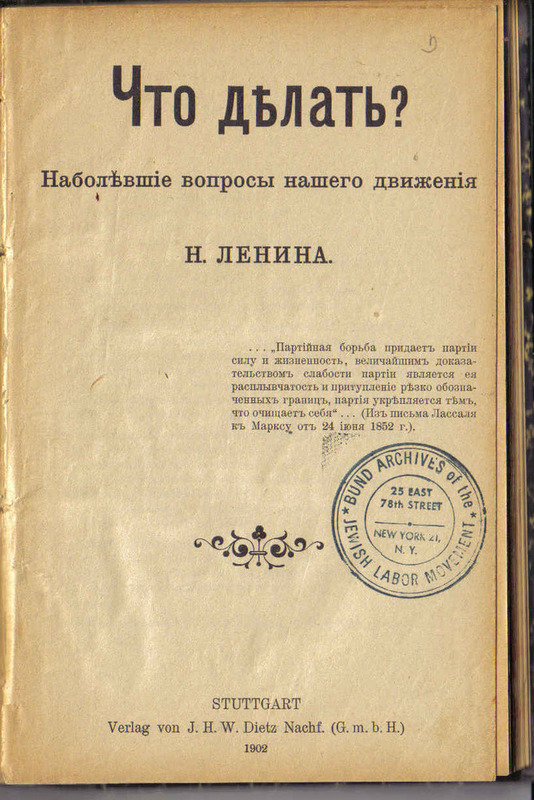 Krupskaya wrote that a month before Lenin’s death, she had read to him from a book by Trotsky which had a section on the appreciation of his life’s work. Lenin stopped his wife at the point where his work is summed up together with that of Marx. He listened intently and looked over the part himself. Perhaps Trotsky may be said to be practising hagiography but both he and Lenin were true believers. Unlike the plain opportunists some of their detractors envision them to be, both men were in their way quite like their contemporary T.E. Lawrence and acted out their dreams with their eyes wide open. It is interesting that Marx was regarded as their spiritual force rather than just a thinker who conveniently gave them ideas they could exploit for their own use. Genuine revolutionaries do need something to believe in. Lenin’s categorical belief in Marx’s ideas repeatedly comes to light as when he insisted in his final speeches that Russia having historically skipped the capitalist stage of development not only complicated its path of socialist progress but thereby hindered any smooth transition it could have towards communism. Russia’s challenges in this area would not in the long term facilitate the spread of international communism. Moreover, it was the developed countries that were expected to provide the conditions for revolution within themselves but this was found wanting. This is crucial in understanding where Lenin is coming from. From his WITBD days, Lenin’s outlook was that it was the developed form of European social democracy, which according to the historical conditions of the times, that was needed to be imported into Russia and spread everywhere. He was an internationalist. Later Lenin was consistent with early Lenin in stating that in order to have a successful and effective socialist revolution the capitalist stage and infrastructure was also needed. So in his final speeches Lenin admits that as the Bolsheviks were held hostage by the socio-economic constraints of Russia’s non-existent capitalist phase, they had to create pseudo capitalist incentives to urge efficient and sometimes even productive results. This is the open minded integrity of the non-ideologue. But already in LWC Lenin admonishes supposed Marxists and revolutionists that they should embrace the capitalist situation and begin to change it from within. The difficulties in such a situation would be enormous because it is one thing to launch the revolution in Russia, but quite another in a modern capitalist state: but that was the point; from a certain Marxian perspective it is a historical necessity for such a sequence to take place in order to provide a certain experience, knowledge, expertise and infrastructure to use against itself and thereby paradoxically (the contradictions of dialectics) taking things to the next paradigm. Arguments can ensue as to the prescriptive or descriptive nature of the dialectics, or whether it is teleological. However, Lenin’s point is that the practicality of having a capitalist phase to subsist through is not something to lament or chafe against, but an opportunity to grasp and a challenge to overcome for genuine revolutionists. …eliminate the division of labour among people, to educate, school and train people with an all-round development and an all-round training, people who know how to do everything. Communism is advancing and must advance towards this goal, and will reach it, but only after very many years. To attempt in practice today to anticipate this future result of a fully developed, fully stabilized and formed, fully expanded and mature communism would be like trying to teach higher mathematics to a four year old child. Read these lines again carefully. They are central to a merged theoretical vision of Marx and its practical application by Lenin. Here the earlier diatribe against ‘economism’ is transformed into a sophisticated expression of the transitory stage between capitalism and socialism. The pre-revolutionary or pre-socialist stage of ‘economism’ and division of labour transmutes into an all round training for everyone (emphasizing the egalitarian element of things), which coincides with political awakening and awareness that in turn paves the way to a communist state of affairs where each is free to do what they want and be whom they want. Moreover, these words of Lenin’s are also prophetic in preparing us in our timeline for the stage of post-capitalism (postK), or the transition to a new and higher paradigm. The postK paradigm can initiate meaningful discussion of what comes after it, that is, something that is progressive and takes us to a higher order of human development. And we are finally historically poised to talk about the collapse of capitalism and what needs to be done next. To bring things a little closer to our time, what Lenin is saying is that if we were trying to take over the reins of control of society or going through that process we are bound to receive resistance as most people have been indoctrinated by the capitalist mindset that ownership of the world by big banks, businesses and governments are exactly the way to go; and we can be obsessed with owning the latest branded gizmo and a lifestyle dictated by the corporate media, advertising and marketing agencies as being part of a secular paradise. But this mindset can be changed with the right effort and conditions. In other words, the royal road to revolution is not via the intellectualism of so-called ‘left wingers’ but through grit, determination and commitment. One has to put the shoulder to the wheel to get it out of the rut, and move things forward. Sometimes demonstrations are necessary to bring the point home, but it is a greater challenge to slowly but surely take over the levers of control of reactionary organizations and stay true to revolutionary purpose. Once again, Lenin insists on realism rather than ideological obsession when applying Marxist dialectical theory to the practical situation at hand. The revolutionaries need to adapt to the situation at hand and deal with their socio-political context in order to gain influence. The majority of people are stuck in the mindset of the milieu they are born and brought up in. Just because many people experience numerous difficulties and endure genuine injustice does not mean they accurately analyze the socio-economic-political background to most of them nor know what to do about the systemic unfairness of capitalism. The ground energy of the masses must be given some form of direction and guidance. Not to take a realistic approach in penetrating the politics of the time to spread the ideas of Marx is, for Lenin, a retreat from internationalism which is a cornerstone of genuine revolutionary motivation. Yet while the perceived glamour of making a local struggle global may be an underlying incentive for many revolutionaries, Lenin subverts that ego- trip by emphasizing grassroots infiltration of organizations across society as crucial for any eventual internationalist inspiration to others. Change, like charity, begins at home; and within the mindset of each presumptive vanguard. Lenin further points out that basing revolutionary action merely on the mood of people, as in their being unhappy over something, is a flimsy approach. He adds, “revolutionary tactics cannot be built on revolutionary moods alone. Tactics must be based on a sober and strictly objective appraisal of all the class forces of the particular state (and states that surround it, and all the states the world over)” (Lenin 75). He is not saying that all geopolitical conditions must be ripe for world revolution, but that politics and revolutions must be understood within a context. Attempts to apply a theory blindly irrespective of context and based on pure ideological optimism will lead to nothing. The basic point Lenin makes is that taking part in the political process of the time overtly, but still keeping certain activities and tactics confidential, is necessary to gain a suitable amount of valuable experience for revolutionaries. This allows them to assess one another and possibly discover those who have actual leadership abilities. Apart from gaining confidence in working with the public, they will also gain the confidence of the public. This can only add to enhancing their credibility with the people. It is also an essential way in which the masses may gain exposure to political issues, start their own education in such matters and, hopefully, lead to their participation as well. The raising of public awareness and consciousness of the political reality of the times is vital to spreading revolutionary sentiments among all classes of society. Lenin continues that a broad based vanguard should use all viable and feasible means and even “resort to manoeuvres, arrangements and compromises with the various groups of the workers and small masters. The whole point lies knowing how to apply these tactics in order to raise…the general level of proletarian class consciousness, revolutionary spirit, and ability to fight and win” (Lenin 89-90). Having to endure discomfort and being challenged every step of the way is the normal path for those seeking revolutionary change for the highest good of all. The purpose and context of revolutionary action has to be about not merely demanding change, but “that the exploiters should not be able to live and rule in the old way. Only when the ‘lower classes’ do not want the old way, and when the ‘upper classes’ cannot carry on in the old way – only then can revolution triumph” (Lenin 105). It is one thing to protest, quite another to win people over within the context of the old system collapsing. There are enough examples of civil wars and societies fragmented due to sudden nationalist outbursts. However, internal strife is not just a sign that one faction demands genuine change but that the revolutionary vanguard of that society (which may be largely non-existent or non-unified) have not done their job properly. But to Lenin that would mainly be due to not having a revolutionary consciousness aligned to Marxist principles and being at the mercy of idealists who have not coalesced revolutionary ideas and know what to do when in control of things. It is also a sign that the unofficial vanguard has not taken part actively (or covertly) enough in daily social and political processes thereby not preparing the masses who transform into the stikhiinyi element when they become angry. There must be proper guidance and focus to the sometimes violent ground force surge. Lenin goes on to state what may seem a truism, but is noteworthy, that: “revolution is impossible without a nation-wide crisis (affecting both exploited and the exploiters)” (Lenin 105). Again, in the context of the ‘occupy’ movement in the USA and elsewhere, it is apparent that some of what Lenin is describing is coming to pass. The question is what to do about it, where does all that rising ground energy go. Is it short-lived and kept to a certain group of vocal people, or is this the start of a broader based attempt at an informal vanguard that will show everyone that enough is enough, and that those who continue to prop up the crumbling tower of Babel of capitalism are destined to irrevocably fail. This important and practical approach emphasizes against using blanket theory and blind ideology, and advocates a synthesis of the basic aspects of Marxist ideas into a synergistic result that allows for tactics and strategies to organically fit with and propel a society towards revolutionary change. In other words, Lenin is proposing a form of constructivism to come up with the most workable ideas for a given socio-political context driven by Marxist ideals. The concept of constructivism proposed by John Rawls in creating a just and fair society would help in examining Lenin’s ideas. Briefly, Rawls made clear as his work developed that he did not insist on what he termed ‘justice as fairness’ be applied as a model for a well ordered liberal democracy or states that were property owning democracies. The ideas of justice as fairness are usually expressed in a basic way by his principles of justice and the difference principle. However, he also believed that an aspect of political liberalism would include the defining characteristics of an overlapping consensus from which at a given time in society there would be a reflective equilibrium as an expression of the societal and political (and economic values) of a particular society as constructed via mutual agreement and reciprocity among its people. Lenin’s expression of modifying principles to adjust to the practical realities of particular situations causing a realistic rationalization of theory to practice would be a prototype of the Rawlsian reflective equilibrium. The Rawlsian constructivist approach is central to a liberal democratic process, whereas Leninist constructivism is ground work for revolutionary awakening. Another aspect of Rawls’s ideas of political liberalism would include the ‘proviso’ which is a function of public reason (which is a constructed expression of reflective equilibrium). The ‘proviso’ for Rawls implies the use of secular and non-secular reasons as a basis for political construction so that, for instance, if a believer in God expresses his ideas in as relevant a manner as a non-believer to create a society for the highest good of all, then it is acceptable for him to say that it is wrong to steal someone’s property because his religious principles dictate so; this in turn he uses as part of public discourse and as a means of influencing public policy. The religious or spiritual underpinning to his participation in society is irrelevant when it is for the welfare of all expressed in a manner congruent to public reason. So in Lenin’s case, his approach of adapting ideas to context in order to seed, strike roots, grow and nurture a revolutionary society would be his version of a political constructivist approach. While Lenin is certainly not a liberal democrat, nor Rawls a subscriber to Marxist dialectics, Rawls’s ideas can certainly help elucidate the contemporary relevance of Lenin’s political thought today as it consistently calls for dynamism, adaptability and action; never dogma. 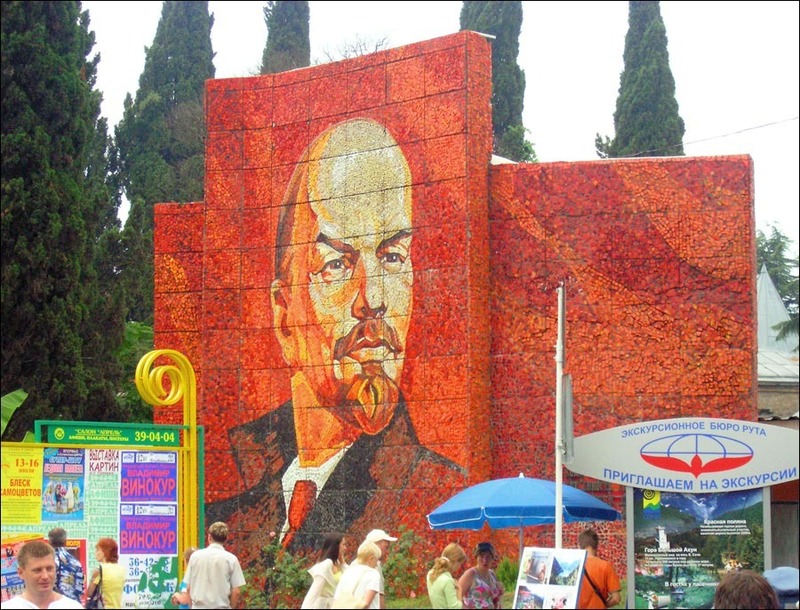 Lenin is always in the process of things, of creating, moulding, or being in transition. His ideas are works-in-progress. So it is unsurprising that he says that in addition to doing the ground work “all attention, must be concentrated on the next step–which…is actually closer to the practical carrying out of the task, namely: seeking the forms of transition or approach to the proletarian revolution” (Lenin 115). Just establishing the ideas with the masses is the first step, but it is an ongoing process towards success. He interestingly brings out nascent ideas of empowerment of the people. That the role of the vanguard is a leadership one but it is, in the paradox of dialectics, one that helps lead to the leadership of the massess, by the masses and for the masses. Lincoln may have put it differently, yet Lenin’s goal is to bring a sense of awareness, awakening, and shared empowerment through conscious political experience and societal involvement of what people power is all about. The vanguard leads to facilitate the collective leadership of the people. This is a shared and collective empowerment of all to not just forge, but really, to transmute the capitalist forces and awaken the masses and transfigure them as well into a new paradigm of collective creation of their destiny beyond exploitation. Lenin is prophetic in his critique of an earlier generation of Marxists and what the next generation of revolutionaries should heed well. His advice to change seekers and change makers: maximize adaptability and maintain a non-dogmatic approach of political constructivism, and to use what you have while cognizant of how fast change takes place; and take note too how the new is hegemonised by the elitists of the old structures. Adapt your revolutionary Marxist principles to the reality of the situation and follow it through to bringing over as many as possible to the cause. This is Lenin’s dialectics as political constructivism. Transplant these ideas to today. In the Middle East, people know how to use new technologies and the Internet to push for their demands through mobilizing people. But this also means that there will always be trolls using the new media on behalf of the ‘opposition’ to cause confusion and anxiety amongst change makers. Microblogging can be used by those who seek to frustrate change seekers and cause division amongst revolutionaries. But the aware and conscious, flexible and adaptable change makers will be able to recognize ‘new wine in old skins’ and work around that and come up with creative ways to obviate the attempts of the ‘opposition’ to subvert genuine change. We need only transpose this insight to our time sown from the tragic experience of two world wars and countless other wars; genocide, societal violence, greed and economic exploitation of gargantuan proportions to see the disturbing contemporary relevance of Lenin’s words. They also strike close to our present experience as we presently witness at long last the collapse of capitalism, the unveiling of the workings of the international banking and corporate cartel, the machinations of the war apparatus and pharmaceutical oligopolies, the dishonesty of the mass media, and the agendas of the American neoliberals and neoconservatives among many others. But we need to also put aside the ideological culture wars of ‘political correctness’ that is the sign of our own ‘left wing’ infantilism to come together around the fermenting forces of change. We need a new vanguard devoid of hierarchy that can provide a broad based impetus for the massive awakening of humanity for the final resolution with collapsing capitalist forces so as to initiate a new paradigm for the world. Marx and Lenin kept talking about an apparently utopian stage where communism would hold sway after the historical triumph of capitalism which would leave behind a legacy of wealth, but most unevenly distributed. It would also leave an infrastructure in place no matter how damaging it is to the well being of life on the planet. Lenin admitted at the end of his life that communism was in trouble and certainly in his own country which had skipped the capitalist stage. He was also a committed internationalist in seeing the possibility of socialism advancing as part of an unstoppable global force. His was not the hunkered down ‘socialism in one country’ of a Stalin: that only engendered another repressive state apparatus which facilitated the wheels of capitalist control to keep spinning thereby helping inaugurate the seemingly ideologically framed Cold War. In exile, Trotsky analyzed and explained to the best he could that it was the self-centred and harsh survivalist mode of Stalinist ideology (masquerading as Marxism-Leninism) in refusing to keep the socialist revolution of the Bolsheviks international that helped create the road to perdition of World War II. Trotsky showed towards the end of his life how the failure of a socialist revolution in Germany helped coalesce conditions that allowed for the Nazi takeover and the war that followed. Back to Lenin who extrapolated Marx’s idea of a type of unity consciousness that empowered human beings (famously expressed in The German Ideology where an individual could develop his potential and choice to be a hunter one day and critic the next). Unity consciousness powered Lenin’s notion of the vanguard and its merger with the masses towards a common goal in a purposive manner. The idea of the logic of separation is a reactionary force against the internationalism Lenin was striving for in creating a common human awareness for the good of all based on justice and fairness. As long as people remain divided and only cater to their self interest, that of their own groups and countries, then an internationalist approach would be stifled. An as long as that principle of disunity consciousness prevailed, a divide and rule modus operandi could ensure the continual reign of the forces of finance and commerce abetted by many in government. This is the illusory ‘normalcy’ of the world we live in that Marx and Lenin, including the anarchist thinkers of their time, were trying to point out: that governments are not in charge of any country, they only seem to be so. Indeed on certain points as in passing of some legislation they appear to be in control. In exercising the security apparatus of the state against the populace, they seem to be able to wield force voluntarily. But they are in fact, like so much of the world, held hostage to international banking and corporate interests. These are also part of the reasons why both communism and anarchism have a shared goal of the abolishment of the state, though their path towards this may differ. Here is the historical irony that Lenin would have said to be part of dialectics: the multinational banks and corporations practise internationalism and have crossed borders via hijacking so-called international law and organizations like the UN, WTO, IMF and World Bank, thereby spreading their tentacles all over the planet. They are robbing the planet of its resources and humans of what is left of their dignity. They have bamboozled most of us through the media, politicians and governments they control behind the scenes that any attempt by people and change seekers to globalize social solidarity and show respect for human decency is somehow portrayed by them as undermining ‘freedom’ and ‘sovereignty’ of a ‘nation’ or ‘a people’. These forces striving for international influence and control have perverted the notion of global unity through terms like globalization which is but a euphemism for the final takeover by international banking and corporatism. Globalization is capitalism’s ‘bankers and corporations without borders’, or the new international ‘do-gooders’ for the 21st century. Nation states and all they purportedly represent are at the mercy of the Conglomerate (‘bankers and corporations without borders’). Imagine a world free from the dictates of the Conglomerate. Imagine a revolution by change makers that brings along the masses –and cuts across all strata of society — onto a higher paradigm that moves beyond nation states and separation consciousness; envision a new world situation where there are viable communities of people with shared technology across the world maintaining diversity, tapping into creativity and ensuring economic models that are sustainable and work towards abundance for all, yet respecting the environment. This would also put an end to wars. Granted conflict may not end overnight, but we would be on the path to ending them. If the Conglomerate and its capitalist internationalism embodying the lower frequencies of humanity can exist via globalization, then surely they can be replaced by the higher aspects of human ingenuity and aspiration. The ultimate vision of people like Marx, Lenin, Proudhon and Kropotkin, among many others, is a borderless world without corporate images and branding to fuel the logic of separation, but rather the fusing of human unity and shared abundance. This is only impossible for those indoctrinated by the Conglomerate, subscribe to the logic of separation and prefer to sell themselves short of their human potential. Moreover, this is where we are in history: capitalism has failed. We are at that point in history which Marx envisioned and Lenin fought for. 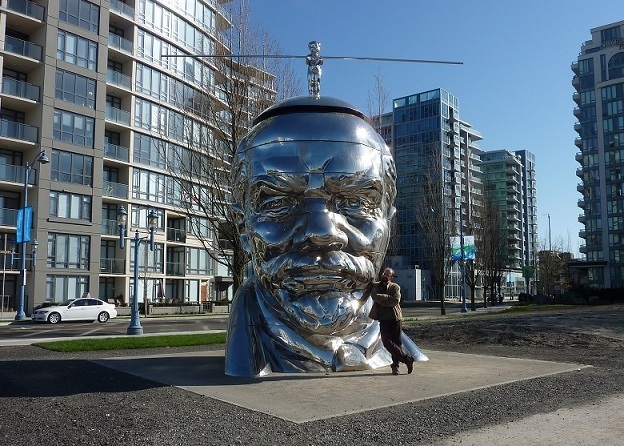 What Lenin was denied, has been delivered to us on a platter of recycled platinum club credit cards. This is the point Lenin is making, you need the capitalist experience, infrastructure and the extreme suffering it generates to bring us to the moment of its systemic collapse; that coagulating epiphanal event horizon when humans everywhere become aware that the Conglomerate has failed and it can no longer deliver the goods. This is history’s gift to the change makers and revolutionaries of the world today. Capitalism’s self-destruct mode should be taken as an opportunity, not decried as ‘alas and alack’, for now we can finally change for the better. Marx and Lenin are addressing us from the past. We have the legacy of the Conglomerate and the infrastructure in place; what is needed is the vanguard to guide the ground energy of the people to make the right changes for the good of all. Naturally, we have to operate on a different paradigm. We are no longer addressing the world and living our lives based on 19th century and early 20th century sensibilities. This is the 21st century and as Leninist constructivism urges — adapt, be flexible, push for tactical mobility to gain strategic advantage and be focused in our efforts; roll up our sleeves and put our shoulders to the wheel for change. This time we have a quantum leap in technology to help us. We can only ‘fail’ not because we are unable to succeed, but because we do not want to do what is right. This time there will be no one left to blame but ourselves. Many of us do take part in our community life and speak up when necessary. But usually it is to fight for our own and a specific group’s interest. If these efforts happen to also help a wider range of others, than that is good too. Many will go the extra mile to speak up against unhealthy school lunches for children and the need for extra security in play grounds as kids are among the most vulnerable in society. Usually, those who do the speaking up do so because of how it might affect their children. People will speak up for the disabled, the elderly, the environment, endangered species, endangered cultural artifacts and anything that needs standing up for as part of human decency. Volkswagen has stopped sending out messages to their workers’ BlackBerry devices after office hours so as to allow them a little more quality time with family. Managers, however, are not spared. This is due to the lobbying done by trade unions. This is good work, but as Lenin points out in WITBD to focus on just such issues and to be lulled into complacency having won on such issues (which management is ever so willing to give in to every once in awhile) is to succumb to ‘economism’. Whatever way it is looked at it is about protecting I, me, mine and others can follow suit if they want to: this is the calculus of ‘economism’ driven by the logic of separation. We should look carefully at ideas for a new age that are proliferating without the copyright dictates of the Conglomerate. We should study again the ideas of Marx, Lenin and the anarchist thinkers and from there peruse those of, for instance, Tom Atlee and Michael Albert. We should start to examine fluid group dynamics of communities and societies that should operate in a postK world that are basically devoid of hierarchy. While this vision may not materialize suddenly tomorrow, we must work for it today. We need to examine ideas that allow for the use of local and complementary currencies. These supplement national currencies. And rest assured, if only to prevent total economic collapse from the farce of valueless fiat currencies we use today exacerbated by the fraud of fractional reserve banking espoused by the Conglomerate, we shall move into real money with actual value. This will be national currencies backed by precious metals such as gold. Yet such currencies will only be a transition in a postK world that will and should see the advent of local currencies powered by the human spirit. The question remains on how to bridge the gap between postK and where we want to go from there. This is Lenin’s relevance today. We need to re-apply in our own context Lenin’s ideas as seen in WITBD and LWC. The uprisings in the Middle East and the start of the ‘occupy’ movements in the US, and elsewhere, are precisely the stikhiinyi or ground energy Lenin went on about. The ground energy of discontent is inevitable and understandable but as of now it is just that: an energy that is without focus and directionless. We can all say we are the 99% at the mercy of the 1%. We can continue to point out that ‘we won’t take this anymore’ but continue unintentionally in victim mode and wait for some reason for others to….take up a placard? Go on strike? For governments to admit their imperfections? For the Conglomerate to step aside with dubious politicians, stand with the people and start singing songs for a better world? We should admire and honour those who are standing up for what is right in the Middle East, and the people of integrity and courage of the ‘occupy movement’. But this is not enough. To hold onto views that we are separate from the ‘victimizers’ and want no part of their ugly set up and do not want to soil our hands with working with them or talking to them; or prefer telling off the security forces for ‘not being on the side’ of the people and that police brutality is the order of the day, is not going to solve anything. To look at the uprisings for justice everywhere and at the brave souls of the ‘occupy’ forces and say ‘but for the grace of God, go I’ and then drive on while shaking our heads at the traffic jam caused by a principled protest (but not forgetting to honk our support in our car while listening to our favourite CD), is ‘economism’ fuelled by the logic of separation. Most of us, and the would-be change makers/seekers and revolutionaries of today, say well what can we expect from other people? It is just us and then ‘them’ waiting for us to do the work of change; when will they ever come around. But Lenin was trying to get change makers to re-envision themselves by avoiding the logic of separation. It is not about ‘them’ and the rest of us (‘the good guys wanting a better world’). It is always and entirely, for genuine revolutionaries, about all of us all of the time; ‘they’ are us, and we are them. This is the new paradigm. It is no longer about blame, but responsibility. Lenin’s quite understandable confrontational sensibility (just try to imagine being in his context) needs to be transposed to our time. We paradoxically, or dialectically, transmute the energy of polarity between the ‘good’ and ‘bad’ guys and recognize that what we have is ground energy that needs to be directed and channeled to create change for the highest good all. Forget the ideological terminology of ‘socialism’, ‘communism’ and ‘anarchism’. Concentrate on postK, enhancing democratic practice and empowerment, and spreading sustainability, cooperation, collaboration and abundance across borders. So what do we do? The vanguard and change makers should not only form new groups and associations but continue with the traditional ones which are the legacy of capitalism. Continue to gain experience, support, and spread ideas to those in your organization; start networking and look ahead to use this experience in forming a new model from the old one; prepare to take over the reins of the old to transmute into the new. Do not say ‘I won’t soil my hands with these people,’ just take precautions and wear gloves. This is the point Lenin makes about the Brest-Litovsk compromise and having to rub shoulders with the Mensheviks and other reactionary elements: bide time, build your support base, be an example and do not quit your present situation just yet unless you have been given the gift of capitalist retrenchment. Or your health dictates so. Change makers should not urge others to quit their positions in the corporate media, government, security forces, education system or almost any other post unless the person is adamant in doing so as a mark of their free will. Encourage them to stay on and even make progress in the organization and be ready to turn the tide when the entire system comes to a grinding halt; and this may facilitate as reasonable a smooth transition phase to postK as possible. Lenin kept insisting, correctly, that gaining a foothold in the capitalist structure as it is and using that to spread an awakening among all groups of people is of value. The postK situation is not about a walk out by like minded people, it is about a taking over with minimal disruption and unrest as is humanly possible. The practice of passive resistance and non-violence will always have its place. 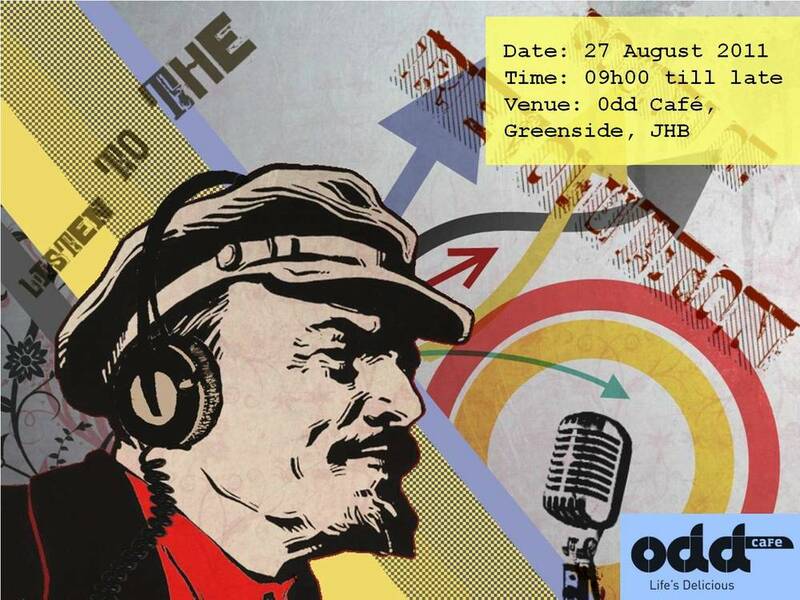 The stalwarts of the ‘occupy’ movement are correct to promote peaceful protest. But we also need active non-violence. That will entail gaining an inroad and influence in your organization whether it is a trade union, political party or grassroots entity. The move by Aung San Suu Kyi’s National League for Democracy (NLD) to participate in elections held under the auspices of Myanmar’s military junta is a classic case in point. Lenin would extol the NLD for its tactics. They must be willing to participate in the elections not because it gives legitimacy to the junta, but because it bestows that on the NLD and provides them with the practical political experience necessary for activists and supporters. This will provide opportunities for leaders to arise and replacements to be spotted to go beyond the current ones. Importantly, the electoral process irrespective of criticisms it may receive is a chance for the people in Myanmar to have the experience of political participation in some mass form. This is the opportunity for change makers in Myanmar to get the people politically awakened to what is happening around them on a mass scale. Change makers and revolutionaries of today aim not so much for being singled out as leaders as giving opportunities for empowerment to people across all walks of life. Any hierarchy in an organization is about facilitating ground work (and not ego filled basking in positions as of the old regime). It is about maximizing political awakening in people to prepare for postK. Today’s technology of the Net, mobile phones and the interface between the two and other portable platforms enhance fluid group dynamics. The idea of fluid group dynamics is a mass proliferation of empowerment where everyone is in a sense a leader, not because they have people to command but because by the integrity and rectitude of their cause, or serving selflessly and even anonymously they are spreading the words, ideas and actions for change. Witness the fluid group dynamics that naturally developed in Egypt and that is burgeoning in the Middle East and will make itself apparent in Europe and elsewhere as the capitalist superstructure is shaken. Every email, every conversation, every reassuring pat on the shoulder, every blog, every exercise in microblogging and use of social networking sites; every picture from a mobile device that is captured an uploaded, every socially conscious music video going viral on the Net, and every implicit and explicit support for a non-violent ‘occupy’ sit-in is a form of active non-violence. It is a form of empowerment and self autonomy. It is the new social leadership. You who are reading this and willing to be this generation of change makers are the new social revolutionaries. The problem with organizations and movements is that it not only gravitates towards hierarchy, but it produces positions and people who need to defend themselves, their positions and titles, and their organizations and members. It is the nature of the beast. It is not inclusive but defensive. That does not mean, as Lenin says, we only act outside of organizations and not be willing to engage them. But in the end, the new empowerment of the 21st century is not about creating a movement; it is about being liberated from movements. The vanguard of today are those who want to help in their own way to guide the ground energy towards a postK society during this transitional phase. The vanguard of today wants to facilitate a shared group vision and consciousness to co-create our new reality of a fair and just society. We do not know precisely how the new world will look yet, but historically we are in the transition phase of actively shaping it. Do not look at the collective consciousness of creating change as forging of separate people into a monolithic whole. That is the logic of separation. Look at humanity and the human spirit as a collective consciousness that has been duped, and continued through its own momentum, down the path of separation and eventually buying into the calculus of ‘economism’ showcased by capitalism. That is why despite difference there is a common yearning in almost all of us for unity and peace and shared abundance. But this is not a shared consciousness where the individuality of a person is lost. It is about the return at a higher level of a shared human spirit and consciousness, expressed through the richness and diversity of individual human beings, guiding itself to a co-created vision as an act of empowerment for the highest good of all. Lenin’s older paradigm of the merger of a revolutionary vanguard and its guidance of the ground energy of the masses is expressed today by our conception of what is ethical, just and reasonable via an overlapping consensus within democratic parameters. It is about social, economic and political construction of and within a new paradigm of what we want for society. So the answer to the question what we need to do is: Act now. The writer is editor of Philsophers for Change.